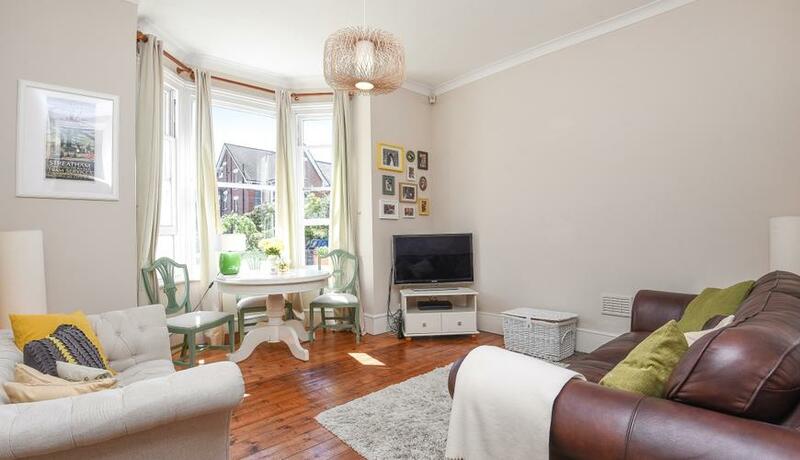 A well proportioned three bedroom garden flat with exceptionally spacious reception room and larger than average private rear garden. The reception boasts a beautiful bay window which allows natural light to flood the room as well as high ceilings which add to the feeling of extra space. The accommodation further comprises of a separate modern kitchen, semi tiled bathroom with shower fittings over bath, three double bedrooms and cellar which is perfect for storing additional items. The private garden to the rear of the property is fully grassed and also contains a shed for outdoor storage of gardening equipment. The location of this property offers easy access to Central London via Streatham Rail Station (Thames Link) and numerous bus routes to surrounding areas. Streatham Common itself is a short distance away, perfect for socialising in the Summer months.